04.02.2012. Northampton, England. 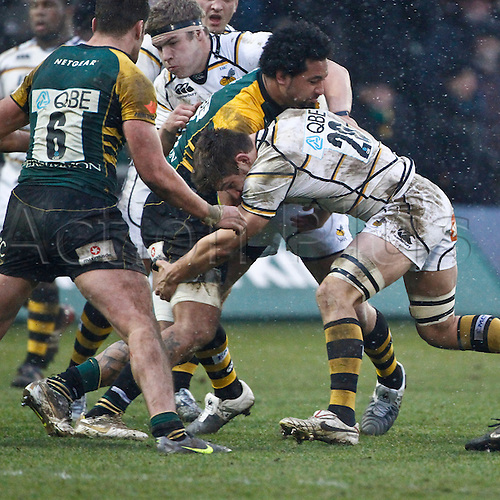 Samu MANOA of Northampton Saints is tackled by Sam JONES of London Wasps during the LV= Cup match between Northampton Saints and London Wasps at Franklin's Gardens.